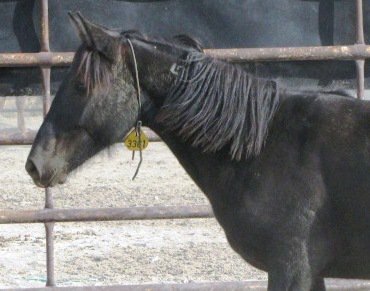 Opponents of a cull of thousands of wild horses in Western Australia say they have evidence the animals are not being killed humanely. 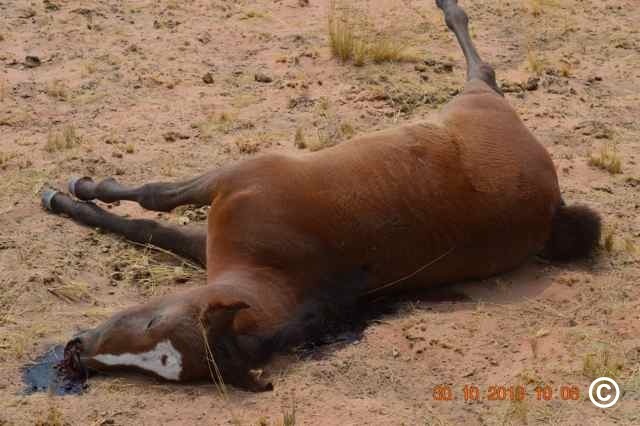 Over the past week, more than 7,000 brumbies have been shot dead in the remote East Kimberley, using rifles fired from mustering helicopters. 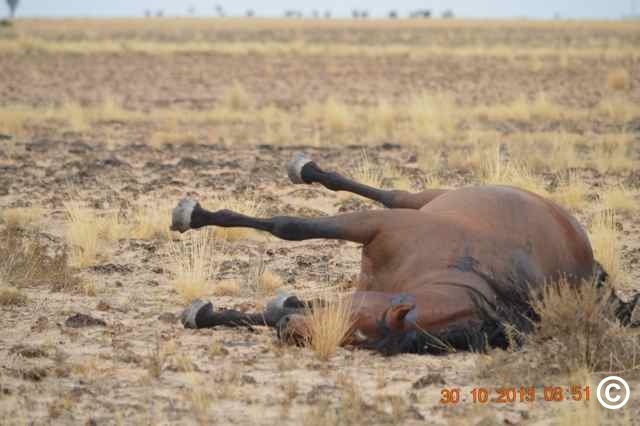 Traditional owners, the RSPCA, and local graziers admit brumby numbers are out of control and have endorsed the cull because the horses are destroying native habitat near the WA/Northern Territory. The Aboriginal Lands Trust undertook the cull on two stations with Aboriginal pastoral leases. It is being overseen by veterinarian Jordan Hampton. “You have two people in a small mustering helicopter and the shooter has a high-calibre semi-automatic weapon,” he said. Dr Hampton is monitoring animal welfare during the operation. 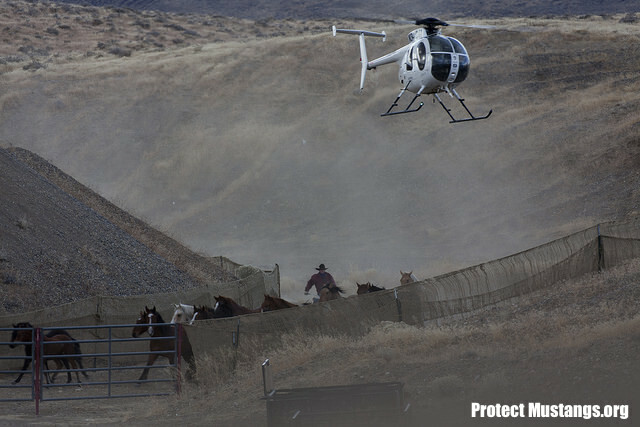 “The helicopter pilot gets the shooter side on as close as he can to the animal, and then there’s our policy of repeat shooting,” he said. The RSPCA is supporting the cull, saying it is inhumane to let the horses live because there is not enough food and water. 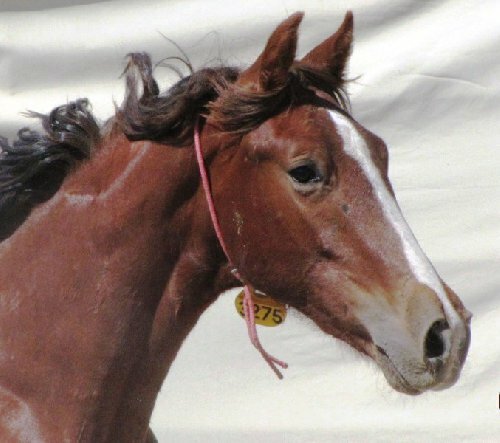 It says it demanded the brumbies be killed instantly through an accurately-fired shot, through the head or thorax. 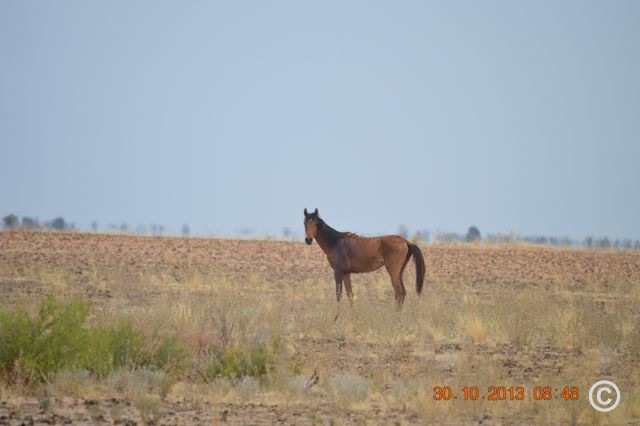 But Libby Lovegrove, from activist group Wild Horses Kimberley, says she has evidence that has not happened. 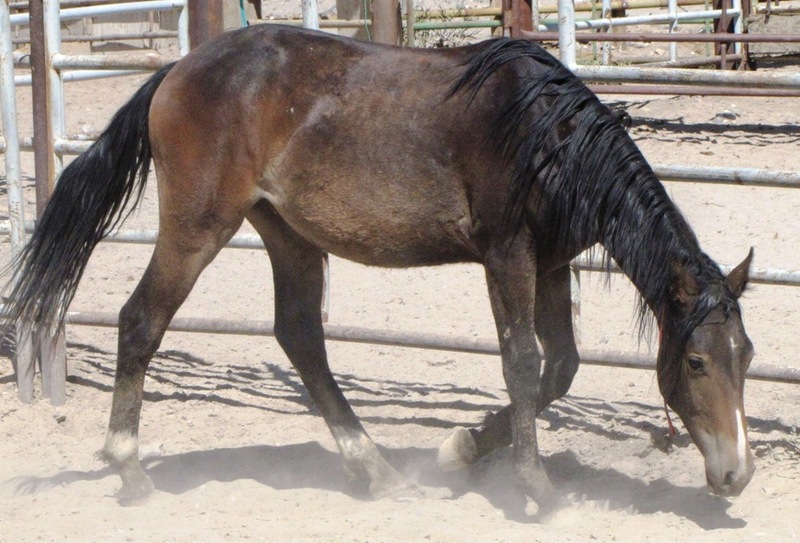 “The photos, there’s one there of a horse that’s been shot in the shoulder and he’s been left to die, you can see the blood running down his leg,” she said. Ms Lovegrove says the photos were taken by one of the stations’ employees on the October 30. 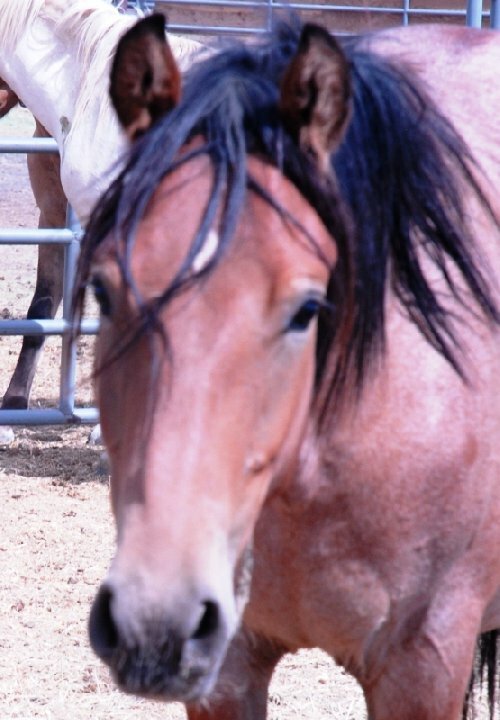 Shot but left to bleed to death like many brumbies from the aerial massacre. Copyright protected. In one photo, a brumby is standing in a paddock and Ms Lovegrove says the horse is bleeding from a bullet wound on its left fore quarter. “That bullet would’ve gone into its shoulder,” she said. “Eventually it probably would either bleed to death slowly in the 40 degree heat or it would just carry that wound around with it, and it would be in tremendous pain. “The other photographs are of a mare and a young colt, they all looked to be in terrific condition but they’ve both been shot, one of them in the wrong place. 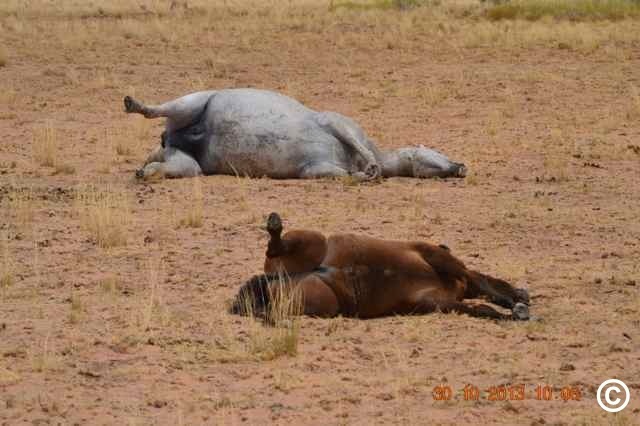 Wild Horses Kimberley says the brumbies should not be shot, but instead mustered and gelded. 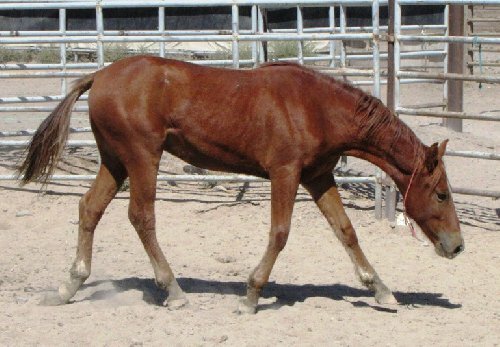 But Dr Chris Pollitt, a veterinarian and feral horse researcher, says that is not viable and brumbies wreck the environment. “Like looking at the surface of Mars, there was absolutely no natural pasture and it really did look red and barren,” he said. 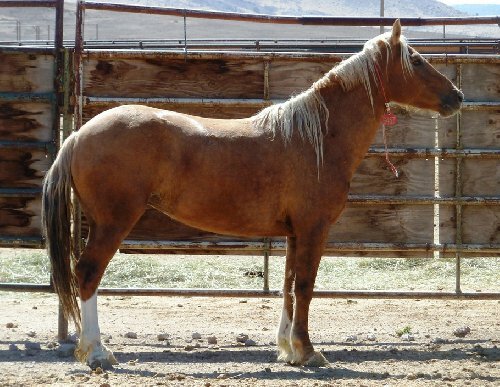 And, he rejected the prospect of gelding. “When you have extensive populations, difficult terrains, it’s not just as simple as you think,” he said. RSPCA says it is pushing for a long-term strategy to control horse numbers and has requested that the photos in question be sent to them. 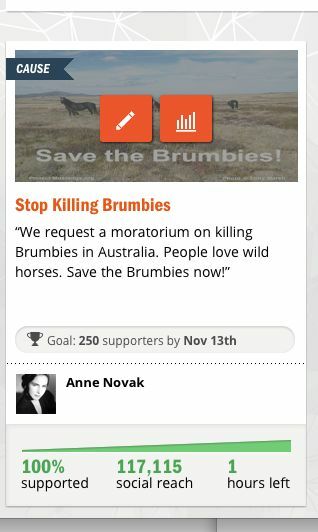 Ms Lovegrove wants the killing of the horses to get international attention. 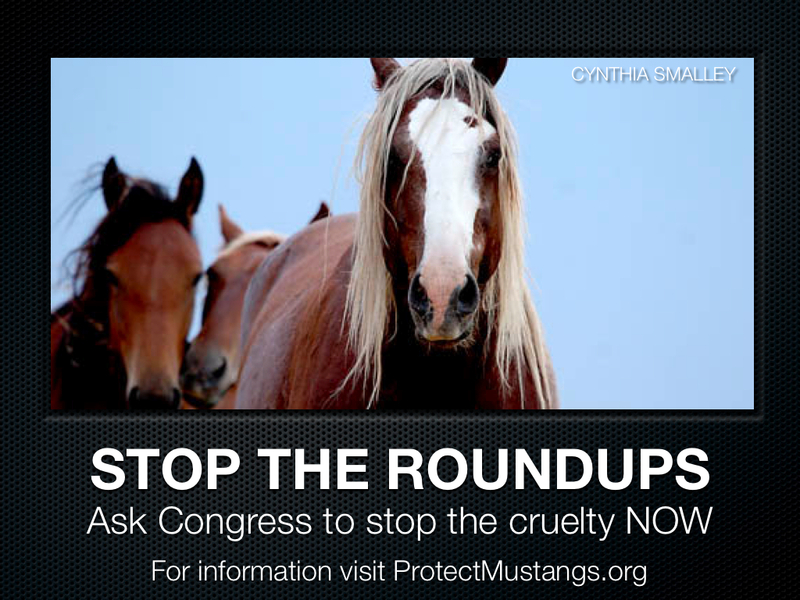 “I’m in touch with the Mustang people in America because in the States now they’re passing laws to save their Mustangs,” she said.